What has developed remarkably over the last 7 years is the increased number of organised rallies available for cruisers traveling around the world. There are a lot of reasons to get involved in these rallies, but in a nutshell they usually provide benefits, security and support. They are a mechanism for finding friends and like-minded people. The participants of the rally usually get together a few weeks before, they run seminars which are very informative on relevant issues such as weather, safety, radio, boat repair, navigation, etc. The manufacturers and suppliers often get involved in the rallies and are competing for the best reviews and references. The big boat manufacturers such as Beneteau, Lagoon, Bavaria, Jeanneau, Catalina can often be present as well as well as product suppliers in electronics, safety, sails, spar and rigging. They are there selling as well as checking boats for free, often completing repairs for no charge. This is a very unique and valuable experience. Rallies are great fun for families, they have children’s groups and organised children’s skeds/meetings amongst the fleet on passage and usually have organised parties on departure and arrival – great for meeting old friends and making new ones. The most successful and original Rally is the ARC rally out of Europe which travels from the Canary Islands to the Caribbean every year in November/December, and is definitely one to put on your itinerary. There are over 250 boats participating every year in this event (usually about 20-30 Australian boats) and there would be probably double that if they had the space. The ARC also runs World rallies that circumnavigate the globe but often on quite a tight schedule and not suitable for those with lots of time and in particular not suitable for the smaller average cruising boats, below 45ft. The ARC type model has now been now duplicated all the way from Europe to Australia with various organisers running events Once you arrive in the Caribbean, there are a number of local regattas/rallies to join. 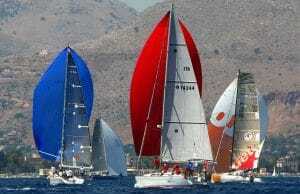 For example the St. Maarten Heineken Regatta coming through from Panama, Mexico. You then join onto the Pacific Puddle Jump group coming out of the US West Coast. This group is about 150 boats strong which joins in with the remnants of the ARC rally sailing through Panama into the pacific. The Puddle Jump West Coast US group rallies leave Mexico headed to French Polynesia in May June The Puddle Jump organisers then organise another fantastic event called the Tahiti>Moorea Rendezvous in June . This is a fantastic event a great introduction to Tahiti and her beautiful islands to the East You muster in Papeete with a fantastic group of sponsors and events and then sail through as a group to Moorea to join a week of seminars and fun events. Really good for families & kids – kayak/canoe races, tours organised etc. After the Tahiti Rendezvous heading West the boats tend to go their own way but by this stage you have met up with so many boats and everyone has their groups so it’s very social and informal period exploring areas such as the Cook Islands Nuie, Tonga. The next organised event to head for is in Fiji in September where you have the Musket Cove Regatta, usually about 100 boats participating. It’s fun and casual rally that once again puts friends and co-sailors together. It is magnificent fun – lots of fun events including cultural experiences, cruising or racing to nearby islands, sandbank barbeques, fun for the kids. Next stop is New Caledonia, Noumea for the Go West Rally which is a major event that has been emerging over the last 3 years. It starts in October and this year heads from Noumea to the Queensland port of Bundaburg. The Go West Rally is that it is basically an introduction to Australia. As well as being involved in an incredible organised and fun event it provides seamless entry into Australia. Most participants in this rally go on to explore the East coast of Australia armed with all the great information the organisers provide. 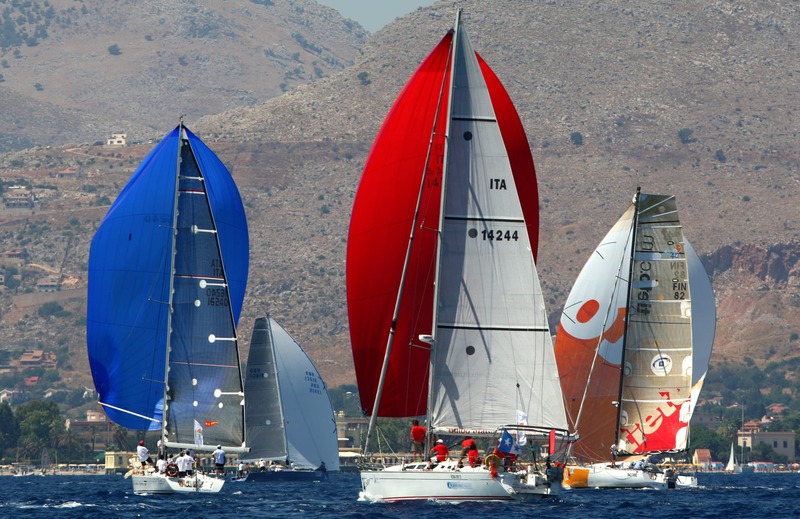 The ARC is for everyone; families with children, tough racers, cruising couples, big boats and modest boats. Crossing the Atlantic together, but having their own adventures. More than just a boat race/cruise, the ARC is about friendships made ashore in the two weeks of pre-departure activities continued over the radio net at sea. It’s about arriving in Saint Lucia to be met on the dock with a rum punch and a chilled beer, knowing you have achieved something fantastic – crossing an ocean on a small sailboat. Every November since 1986 the Atlantic Rally for Cruisers has set sail from Las Palmas, bound 2,700 nautical miles westward across the Atlantic to the Caribbean. Boats from many nations register with the rally (currently free of charge), and they depart any time between late February and early June from various points along the West Coast, with the largest concentration of passage-makers jumping off from Puerto Vallarta, Mexico, and Balboa, Panama. Latitude 38 helps to facilitate fleet coordination and information through our long time relationships with various Tahitian partners and government agencies. We work with Tahitian partners to put on the three-day Tahiti-Moorea Sailing Rendezvous, scheduled for June. In addition, we maintain a database of safety and identification info on all registered boats which is a great benefit to search and rescue organizations in the event of an emergency. Although Puddle Jump sailors set sail independently, they share information on preparation, weather routing, and inter-island cruising via radio nets and electronic communications before, during and after their crossings. Their arrivals in French Polynesia can be anytime in April, May or June. And due to the broad-based nature of the fleet, many crews will meet for the first time when they arrive in the islands. The TAHITI Moorea Sailing RDV is an annual three-day event in June that aims to give a warm Polynesian welcome to cruising sailors while celebrating their successful ocean crossing. It gives the opportunity to our guests to discover, through a friendly rally, the charm of our islands, their warm-hearted inhabitants and the richness of the Polynesian culture. Sailors from around the Pacific and beyond are already signaling their intention to be part of the legendary Musket Cove Fiji Regatta, which will be staged from September 15-20 this year. Such is the interest in this spectacularly colourful event, that organizers’ are confident the fleet size will exceed last year’s record of 101. This will be the 34th running of the regatta, which is sailed out of Musket Cove Island Resort and Marina, an idyllic destination located on Malolo Lailai Island and amid the beautiful Mamanuca Islands west of Nadi. The region is widely recognized as being the sunniest in the entire South Pacific. Musket Cove Fiji Regatta is famous for its traditional, warm hospitality, excellent racing and a “Fun Factor” that remains on “high” from start to finish. The program is simple: sail by day and party by night. Among the many highlights during the week are the fancy dress Pirates’ Day set on nearby Beachcomber Island, the Musket Olympics, off-the-beach HobieCat racing, plus post-race parties and beach barbecues at the Musket Cove Yacht Club’s Island Bar. For the sailors, the signature event on the water is the 20 nautical mile Round Malolo Lailai Race which starts and finishes adjacent to Musket Cove Resort. Each year, many “landlubbers” also visit the island to experience the exciting atmosphere that accompanies Musket Cove Fiji Regatta. Musket Cove Island Resort offers special accommodation packages for the week. The Down Under “Go West” Rally is a destination rally and open to all vessels departing from ports in the SW Pacific with Australia being their destination. You do not have to depart from New Caledonia to join the “Go West” Rally. Participants are free to depart from New Caledonia, Vanuatu or any other port in the SW Pacific. The primary goal of the Down Under “Go West” Rally is to provide those who are heading Down Under with a professional and informative introduction to Australia, and to ensure participants receive current and accurate information before you depart and when you arrive. There is nothing like local knowledge. We are Australians, and we actively cruise in Australia. We know what you need to know and if we don’t, we know how to find out! We also work closely with rally participants & the Australian Border Control & Biosecurity to ensure that that all involved are fully aware of what is required before you arrive and what to expect upon arrival. The FREE East Coast & Tasmania cruising seminars we provide during Welcome Week are highly recommended. These seminars are only open to rally participants and they will make sure that your time cruising in Australia is memorable for all the right reasons. Typically Australia has been referred to by the cruising community as the destination at the end of the downhill slide. Perception is that you cannot sail East in mid latitudes as you would be pushing the SE trade winds. Traditional options to sail east if using “Ocean Passages of the World” as a reference would involve sailing south into the roaring 40s then heading due north once reaching a suitable longitude for your location. Think again as this is not the best way to do it if you are the average cruiser. Bearing this in mind, those sailing West from Europe or North America who want to do more than one season in the Pacific have often been swayed or marketed into heading to New Zealand as it is 1000NM further east which in theory makes a second season back into the Pacific easier. But… here is why New Zealand as a destination between seasons is in my opinion not the best one. It is an option but one that attracts unnecessary discomfort and stress on your vessel and crew. The advantage of sailing east into the Pacific from Australia is the ability to stay mostly within the mild latitudes which is 25 degrees north to 25 degrees south. In this region it is well known that outside of Cyclone season the weather is very predictable and stable. Bring New Zealand into the equation and we have a whole new ball game. NZ is close to the latitudes of the Roaring Forties. These strong westerly winds are generally between the latitudes of 40 and 50 degrees and have no landmasses to serve as windbreaks. The boundaries of the Roaring Forties are not consistent, and shift north or south depending on the season with regular SW fronts reaching well up in to 30 degrees latitudes. Once again from personal experience and talking and listening to many cruisers you will learn that the leg into NZ and out again will more than likely be the toughest and most dangerous that you will ever encounter. So why do this arduous journey? From a cruisers perspective safe passaging is all about weather and good forecasting. In middle latitudes we have accurate long term forecasts that become more consistent the closer we get to the Equator. It is very rare to encounter anything dangerous outside of Cyclone season. Generally 10-25 knots with 1-2 metre wave heights going to 3 metres on the occasional bad day. The further south we go the more quickly the fronts pass through. This means you have tighter windows and more volatility. On the passage south to New Zealand it is not uncommon to encounter winds at 35- 45knots and seas of 4-6 metres and potentially stronger winds and higher waves. If you have a fast boat it is possible to arrive into NZ from the most southern Pacific Islands within a favourable weather window. But we have found the average cruiser who does 140-160NM a day will be hit by a front gale strength enroute. So if you are headed our way from the Pacific and want to look at doing a second season in the Pacific or you are Australians wanting to head out into the Pacific here is what I would suggest. I can attest first hand that sailing east from most ports on the East coast of Australia is absolutely a great option. In 1985 my wife and I sailed our custom lightweight 31 foot catamaran from Sydney and travelled east in the middle latitudes all the way to San Francisco. At the time and throughout our journey everyone else was sailing the other way telling us what we were doing was impossible. In fact we did it quite easily being off wind almost all the way. Further confirmation of the concept has been the establishment of a number of events heading east from Australia. The most successful without doubt being the Go East Rally. The Go East Rally www.downunderrally.com/go-east-rally-2019 run by John and Leane Hembrow heads to New Caledonia and Fiji from South Queensland every year. So how is this possible? The organisers of the Go West Rally who own a multihull absolutely avoid upwind sailing and describe the Go East Rally as truly an amazing journey. Reality is that the SE trades are not as regular as one may think. If you are able to look at the real data which is not so easily available you will find that there are massive windows in the mid latitudes at the right time of the year to head absolutely in any direction. Using the winter SE trade pattern as an example, particularly in the winter months you look carefully at the forecasts and historical data. You will notice a two week pattern of a mild S/SW front which turns SE over the following days then into East/NE. After that the wind is N-NW before going around to S/SE again. The aim is to be off wind. Modern cruisers do not like going upwind so we await a forecast that provides the easy ride. Sometimes this may involve a slight routé change and a little patience but the rewards are great. So what can we take from all this. For those coming from Europe and North America and thinking of a second season I suggest to come downwind all the way to Sydney clearing into one of our northern ports like Bundaberg, Southport or Coffs Harbour. Enjoy all that this beautiful city has to offer and obtain that amazing photo of you sailing under the Sydney harbour Bridge with the Opera House in the background. Explore the incredible coastline of NSW and spend the summer here with us. Sydney has the best of facilities in order to do any maintenance and very gorgeous anchorages for your base. Then head East again with the Go East rally, back out to Fiji and Vanuatu in May. Remembering that New Zealand is only a short flight away and you may obtain a flight from Sydney for as little as $99 AUD. You can then explore this stunning country by van or car as the beauty of NZ lies in the internal landscape and best seen by driving. Our suggestions are from experience and understanding our part of the world very well. We love our country and love our neighbours across the ditch also and trust us with our knowledge of the conditions you may encounter along the way with any decision you may ultimately choose.